If you have sensitive skin a minimalist skin care routine is right up your alley. It can avoid all of the harmful side effects. In fact, using too many skin care products even gentle ones can worsen skin and hair conditions like psoriasis and eczema. Taking one thing away from skin care is that you can treat yourself. In fact, you could make it feel like a spa experience where you may pamper yourself. This isn’t just for the ladies, gents you need to look after your skin. Using our routine below can help you feel refreshed and amazing. Turning it into a once a week spa-like experience can add the feeling of spoiling yourself. So why not, look great and feel great… Right? Treat yo self! Over the counter products as mentioned above can have chemicals in them. Some of these chemicals can react poorly with your skin. 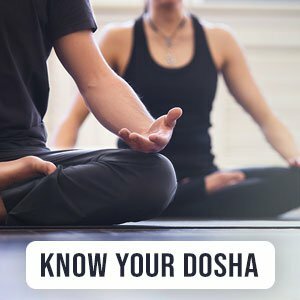 The reasons may include an imbalance in your doshas, but having a minimal routine using all natural products will avoid most harmful or untoward reactions. That’s it. Following those two steps using natural products can get you well on your way to clear glowing skin, without the cost to your skin cells or your wallets and purses. To clean your skin we recommend use honey cleansing. We'd say start using 1- 2 tsp of honey, and add a few drops of water for an smooth consistency. Gently rub onto your skin, rinse with warm water and pat dry. Honey has natural enzymes which enrich skin strength, it can also help reduce acne. Most importantly it gently cleans the skin from dirt while moisturizing your skin. Your skin care routine would not be complete without minimalist skin care using coconut oil. Coconut oil works wonders but in the case of your skin it is a powerful moisturizer. You can use the smallest of quantities to moisturize and nourish your skin. Do not over do it, as a lot of oil can clog your pores. You can find quality coconut oil here. Follow these two simple steps to glowing skin naturally.